This listing is for a READY-TO-SHIP Sunnie pillow. Little Sunny is a happy pillow. 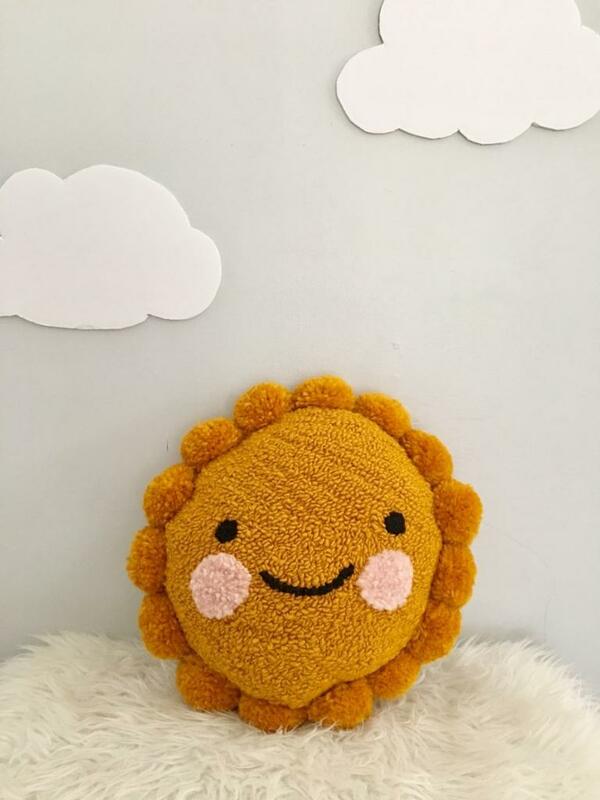 She will bring sunshine to your little one’s (or your!) room. She loves to be included in playtime and stories- especially those about far off lands or the changing seasons. The yarns I use make her very soft to hug and cuddle. Every Sunny pillow begins as a hand drawing on monks cloth and is made with hand tufting techniques. It is then stitched to a linen backing. After being filled with poly fill, her sun rays are sewn on one by one. Your Sunny will be unique due to the nature of creating by hand.